Every now and then, new smartphones are released from different brands in the world especially in China. But among these new brands, there are few of them copying the likes of Samsung, Apple and even Infinix. I have seen cloned Infinix Hot Note, Note 3, Infinix Zero 4, Zero 5 and Infinix Hot 2. 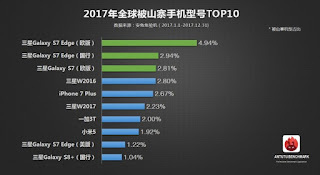 But in this context, we are looking at Samsung and according to the latest report from Antutu, Samsung is the most copied smartphone brand in the world. 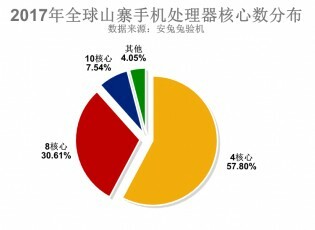 The data by AnTuTu reveals that 2.64% of results in its database were posted by a copycat device. These phones are not just copycats in terms of design but they are complete replica devices sold as the real phone. Meaning some people claiming to be using Samsung phones are actually using a fake device cloned to look exactly as a particular Samsung phone. Stats from GsmArena shows that Samsung is the most popular brand to clone – 36.23% of fake phones were pretending to be a Galaxy. Just the Galaxy S7 edge clones account for 8% of the fakes. 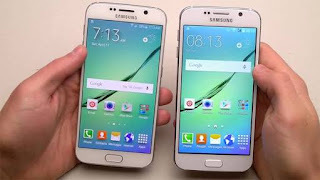 The smaller S7 is high on the list too and – surprisingly! - so are Samsung’s flip phones. Apple followed in second position as fake Apple phones hold 7.72% of the bogus market, lead by iPhone 7 Plus lookalikes – they are in the Top 5 with 2.67%. Xiaomi, Oppo, OnePlus and Huawei are all affected as well. The “Other” category is huge too, over 40%. As expected, AnTuTu reports that these fake and cloned devices are pretty low in quality and performance. Nearly 60% of them have quad-core processors to save on cost, only 30% got octa-core CPUs. Also in the display department, they adopt a 720p or 1080p panel. They make everything possible to make the physical outlook resemble the original. Before you buy any phone of your choice, make sure you checked the specifications of the device online and go to the store with it. Before paying for the phone, turn it on, check the settings > about phone to see the features, check the memory, the RAM, camera, the Android version and the processor to see if it corresponds with the specs online. If it's different, don't buy. Another way to spot a fake version of a phone is the price will appear too good to be true. Once the price of a phone is too cheap from what is online. Run! The like of ulephone and others..
Not forget to mention maybe Iphone will also be seconded after Samsung..